Adorable accent for a castle themed space. 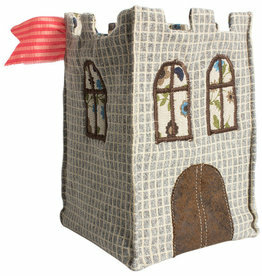 stand alone or fill with Maileg's castle themed rattles and cuddle toys. This cotton castle is beautifully made and a perfect residence! 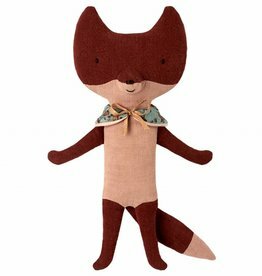 Adorable handmade fox from Maileg. 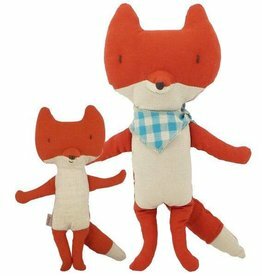 This cuddle toy comes in two sizes and is perfect to come with you where ever you go! This cuddle toy has many friends to create a mythical forest, collect them all! 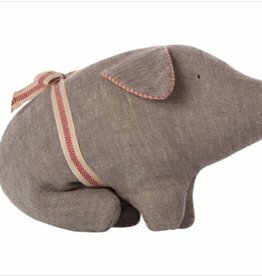 This cute pig cuddle toy from Maileg is super soft. Made of cotton and with a checkered nose, tail, and ears. This sweet pig is perfectly sized to carry with you where ever you go. One touch of this cuddle toy and you know it's made for cuddling! 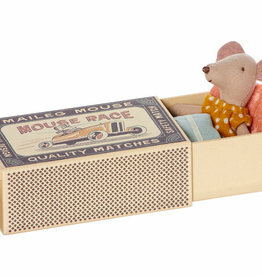 This sweet big brother mouse likes to sleep in his matchbox with handmade linens. This brother mouse belongs to the whole family, collect them all or give this sweet mouse as a nice present! This sweet little brother mouse likes to sleep in his matchbox with handmade linens. This little brother mouse belongs to the whole family, collect them all or give this sweet mouse as a nice present! This sweet little sister mouse likes to sleep in his matchbox with handmade linens. This little brother mouse belongs to a big family, collect them all or give this sweet mouse as a nice present! 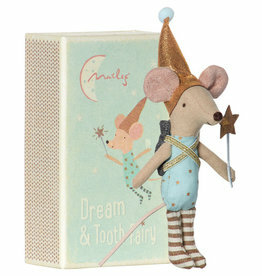 How cute is this sweet Tooth Fairy mouse in his matchbox? He mouse is wearing a little backpack and has a magic wand in his hand. This sweet Tooth Fairy mouse belongs to a big family, collect them all or give it as a nice present! 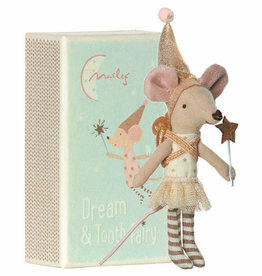 How cute is this sweet Tooth Fairy mouse in her matchbox? She is wearing a little backpack on her back and a has a little magical wand in her hand. This sweet Tooth Fairy mouse belongs to a big family, collect them all or give it as a nice present! 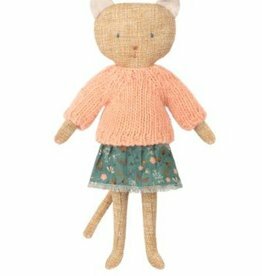 We are delighted to announce the arrival of Twin Mice at Maileg's mouse family! They are comes in a lovely matchbox with a sleeping bag to share. The match box is decorated with whimsical illustration and made with sturdy card board.